It’s that time of year again: time to put up the Christmas tree. We recently did that at the office. 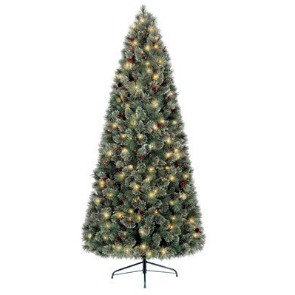 We went out and picked up a pre-lit artificial tree. As I stared at the box and contemplated assembling it (while everyone else at the office did the “real” work), I had mixed feelings. The last time I had decorated an artificial tree was 1996. 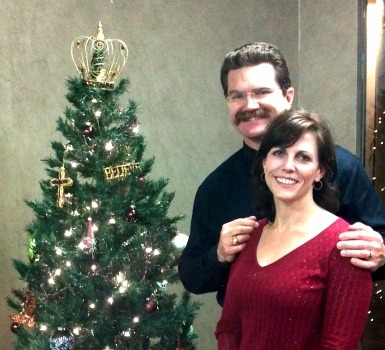 This simply didn’t seem like a real Christmas tree, in more ways than one. While I was bringing that artificial tree to life, I started making a mental list of the Pros of an Artificial Christmas Tree. My first thought was the most obvious: It’s FAKE! There are a host of benefits in this fact alone. I didn’t have to haul it inside in a net bag, leaving a trail of needles behind me. When I have that much mess before I even get started, I am not very motivated to finish the task of decorating. I didn’t have to cut the bottom off to make it fit in the stand. When I put it in the stand, it was already perfectly balanced; no twisting screws to make it straight. My mom tells a story of one Christmas when my dad actually nailed the stand into the hardwood floor because they couldn’t get it to stand up any other way. (Can you imagine the conversation while that was taking place?) None of that for me with this tree! And once I had this thing fully assembled and shaped, I had no sticky tree sap covering my hands and arms. It was time to appreciate the fact that the tree already had the lights on it. Wow! This saved me so much time and frustration. I was beginning to like this tree. It was becoming real to me. I had spent close to an hour shaping the branches and I was proud of my handiwork. It had come out of the box looking nothing like a tree. It was in three misshapen pieces and now I felt like I had a work of art. Now to call in the troops to help put the ornaments on it. After some sheepish comments like, “I don’t know how to do this” and “Where do I put them?” everyone jumped in and dressed up our tree. Once we got the topper in place, we all stepped back and admired the finished product. It was perfect. Artfully shaped branches, bright lights, beautifully arranged decorations, no needles to be swept from the floor, no stand to fill with water. But wait…..something was missing. It didn’t SMELL like a Christmas tree. There was no delightful pine scent filling the room. “Light a scented candle,” you say. “Spray some Christmas air freshener.” Sure, let’s add some fake smells to go with our fake tree. Only this didn’t seem like a fake tree anymore. It is a real Christmas tree. It brought us all together in the Spirit that is Christmas. We shared stories of our families as we decorated. We laughed and got to know each other better. We pray, that as you gather with friends and family around your Christmas tree, that you will be blessed by the Spirit that is the reason for the season. Merry Christmas!